APMFG Fab. 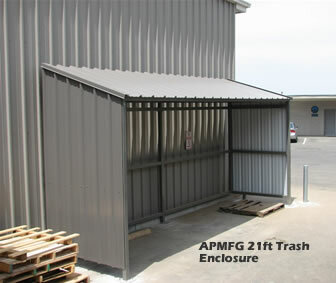 Inc. can design a custom Trash Enclosure to your specifications. 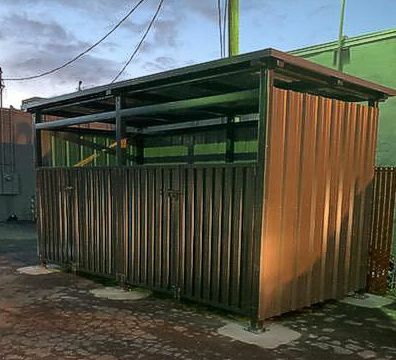 Custom engineered Peak 21ft x 8ft x 9ft tall Aluminum Roof Construction with Multi-Rib Tiles. 3" Square Heavy Hollow Structural Steel welded per AWSD1.1 Heavy Square Leveling leg surface mounts with Anchor Bolts.